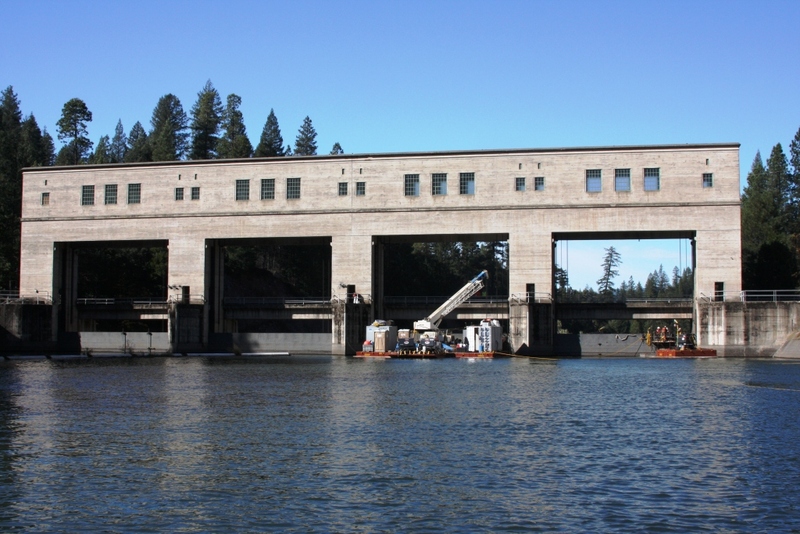 Pit 5 Instream Flow Release Modifications - Global Diving & Salvage, Inc.
PG&E solicited proposals for the modifications at three dams during the relicensing of the Pit 3, 4 & 5 Hydroelectric Project. 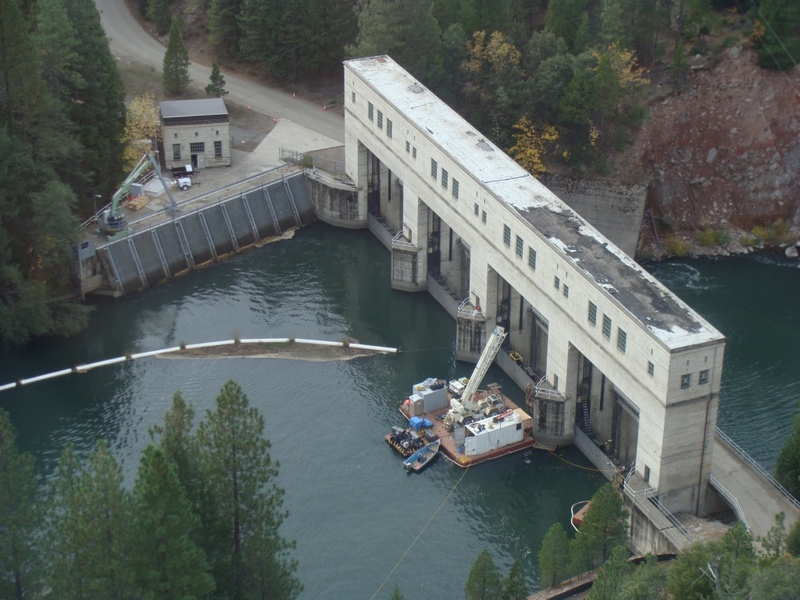 Part of the proposal was to increase the in-stream flow capability at the Pit 5 Dam outside of Burney, CA. Barnard Construction was selected to perform the work and chose Global as their subcontractor for the Pit 5 dam modifications. To accomplish the work Global certified underwater welders installed pad eyes on the upstream face to attach turn-buckles. Williams undercut anchors were installed at the base of the bottom sill to secure the gates in the closed position once the cofferdams were dewatered. 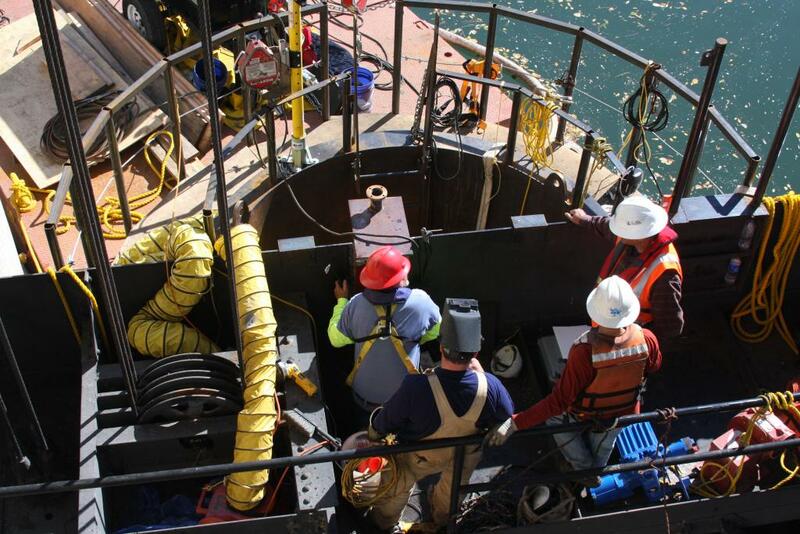 Working inside the dewatered cofferdams under confined space limitations, Global’s surface welders cut openings and installed the outlet pipes, gates and operator platforms on the upstream face. As the work progressed, the cofferdams were moved from one gate to the next. All work was tested and installed to meet the clients’ exacting specifications. The work was completed on time and within budget.